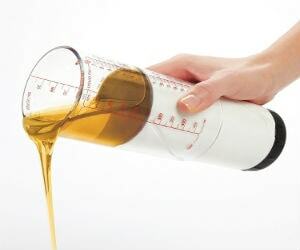 This single kitchen gadget can be easily adjusted to measure and pour a bunch of different sizes. It's designed with a movable silicone disc that makes it perfect for measuring and dispensing sticky ingredients, like peanut butter. Declutter your kitchen by purchasing this multipurpose measuring cup.